It's amazing how time flies. In the blink of an eye, Christmas is nearing again. I can still vividly remember how we had a family reunion in Sweden last year to celebrate this festive season. It was the first time I decorated a Christmas tree with my parents, first time the hubby and I exchanged Christmas gifts with our families, and it was also Angel's first time seeing Santa Claus in our home. Remember how Santa gave her a big fright, even though it was really Daddy in disguise? She probably thought Santa abducted Daddy and transformed him into some kind of monster. So a year later now, she is still terrified whenever we see any Santa Claus that can move, has a big belly and says "Ho, Ho, Ho" in a deep, gruff voice. That said, I personally love the feeling of knowing that Christmas is coming. I like to celebrate this season for secular reasons and beside loving to listen to catchy carols, feast on yummy treats and enjoy family gatherings, one other thing I most love to do is to admire the vibrant, jazzy Christmas lightings. During our stay in Sweden, we had hoped to bring Angel to visit the Santa Claus Village at the Arctic Circle in Lapland, which was after all not that far from where we were living. However, there were simply too many beautiful places in Europe to visit and in the end, this dream did not come true. 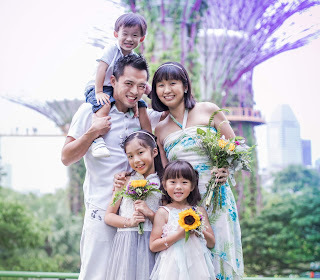 Now that we are back on the sunny island and seemingly far away from snow and reindeers, you can pretty much imagine our excitement when we heard about the Christmas Village in the Tropics @ Singapore Flyer. So in wanting to get into the spirit of Christmas, we made sure we did not miss it this time round. Standing at 83-metre high, we were greeted by the tallest Christmas tree in Singapore. Can you spot Santa and his sleigh? 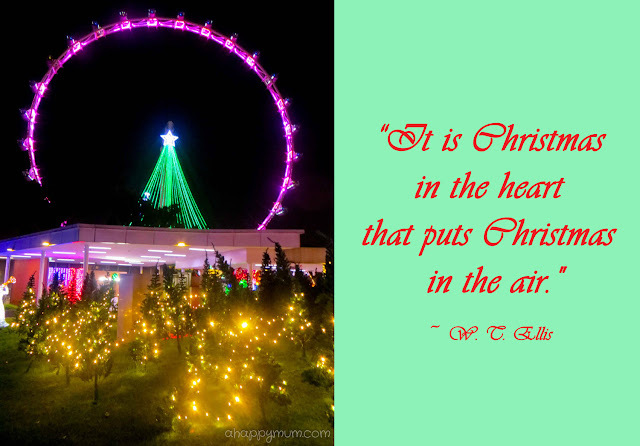 The Christmas Village is located at the Sky Deck at the Singapore Flyer and is open from now till 1st Jan 2013. At the entrance, we were enthralled by the photos of the lightings and hoped that they were truly what we were about to witness. What excited my girl most was that she was going to have a chance to play with snow, again! Ok, after three years of playing with real snow, this was going to be fake but guess what, it doesn't really matter to kids if you exclaim that "It's SNOWING!" and more importantly, you just need to get into the foam snow and frolick with them. For kids who are fans of Santa, you can write a letter to him too and pray that it reaches the other end of the globe in good order! Here is the layout of the Christmas Village, which isn't really that huge and you can probably finish your visit within an hour on average, depending on how much you love to take pictures, play with snow or shop for Christmas merchandise. In the enclosed area are Santa's Home and Workshop, where you can see a cosy fireplace, a nicely decorated Christmas tree and an array of toys and gifts. 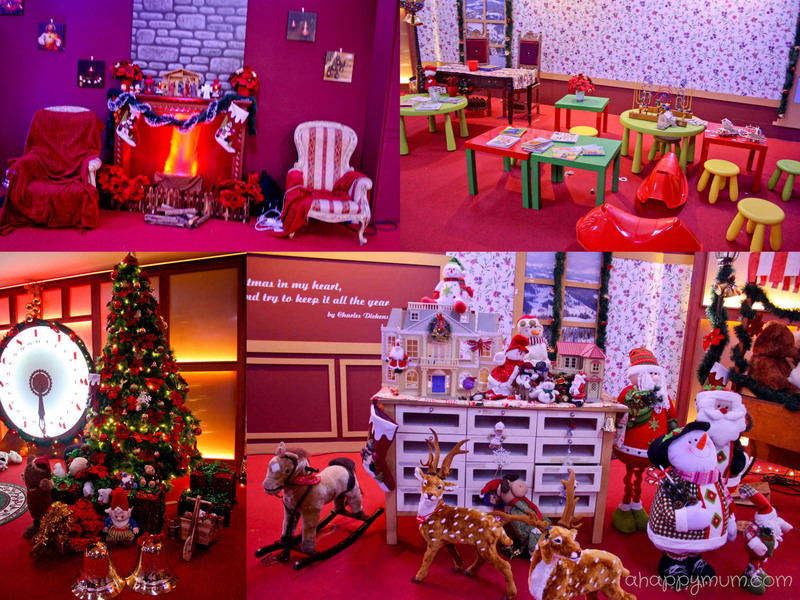 To the delight of most kids, Santa is also available here for you to snap a shot with him. Well, most kids don't include mine for she wanted to escape from the room the moment she saw Santa, even though this Santa was slim and young, unlike the traditional old, plump and kind-looking Santa. Eventually, she clung onto us like a petrified koala bear and poor Santa had to hide away from her just so we could continue our visit. Anyone has any remedy on helping your kid in overcoming a phobia of Santa? Next, we moved onto the outdoor area which we preferred so much more. Firstly, the highlight of the visit for me was the Christmas lightings. Secondly, it was nice to enjoy the cooling night breeze. Thirdly, my girl felt so much more at ease once she started to run around. There were dainty, tiny gnomes and their colourful little homes set against the beautiful Christmas tree. Perfect for a photo opportunity. My girl actually looked huge in this place! 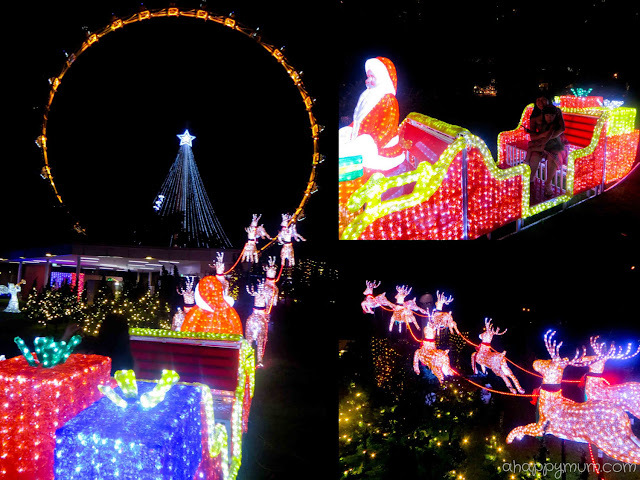 Catch Rudolph the red-nosed reindeer having fun in the snow with snowmen and angels, along with a 10-metre tall Christmas tree topped with a shining star in the background. I personally loved the blue lighting here and Angel's favourite part was touching and picking up the white pebbles and pretending they were snowflakes! One of the main attractions at the Christmas Village is this beautiful, enchanting 20-metre long reindeer sleigh which you can actually get to sit on and imagine that you are going to soar across the skyline. I loved how the reindeers looked like they were indeed flying up and I adored the feeling of sitting in the sleigh to admire the pretty, varying hues of the Singapore Flyer. This was by far the best part of the night. As we walked into a forest of glistening, shimmering pine trees, we saw that it was starting to SNOW! Yes, to Angel it was real snow and to us, whatever that makes her delighted makes us happy too. So we started running around in circles, we let the snow splatter on our faces and unknowingly swallowing some, we put our hands up high and basked in that moment, we clapped high and low trying to catch the snow, we basically just let our hair down and got all soapy, slippery and smiley. It was probably fated that we were the only family who stayed from start to end and that the snow ended up lasting much longer than we imagined. So yes, we did have a fun time frolicking in the snow with our 3-year-old girl and my 36-week pregnant tummy. Sometimes, all it takes is some imagination to spice up life. We went home all wet and sweaty but we were thankful that we made it there that night. For once again, we have another bagful of beautiful pictures and happy memories to add to our family collection. Christmas, to me, is all about family and joy, and I'm so glad I have both. Good News! A Happy Mum is having a giveaway! For readers who are interested to visit the Christmas Village, here is your chance to win a set of 4 tickets for your family! 2) Leave a comment below in this post telling me what you love to do during Christmas + your email address. If you do not wish to post your email address here, drop me a separate email at summer@ahappymum.com. 2) Tickets are eligible for use on weekdays only, at any time of the day during non-peak (12.30pm to 6pm) or peak (6pm to 10pm) hours and can admit any adult/child combination. Tickets are priced at: Adult/Child - $6/$4 (non-peak), $12/$8 (peak). 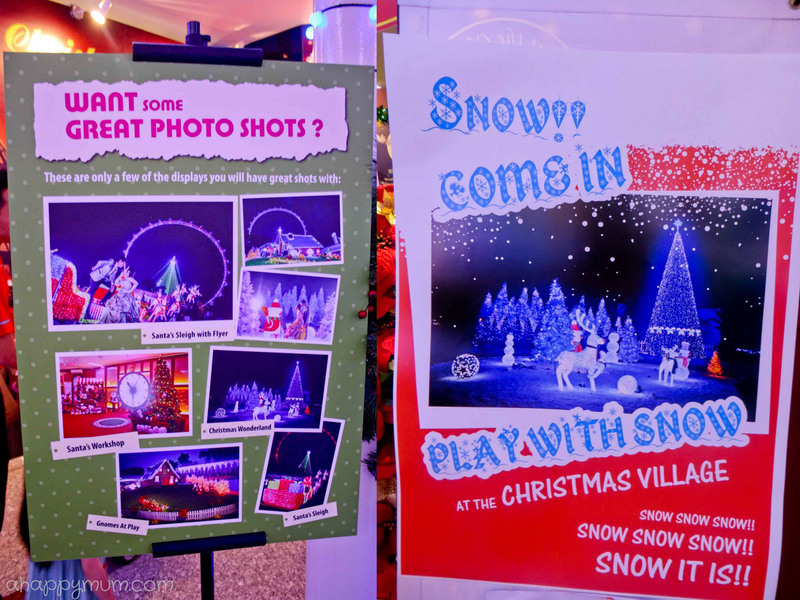 For more information on Christmas Village, visit www.xmasvillage.com.sg. 3) The winner will have five days to respond or prizes will be redrawn. This giveaway ends on 14 Dec (Fri) 2359hrs. One winner will be randomly selected and contacted via email. Results will be posted here and on my Facebook page the following day. 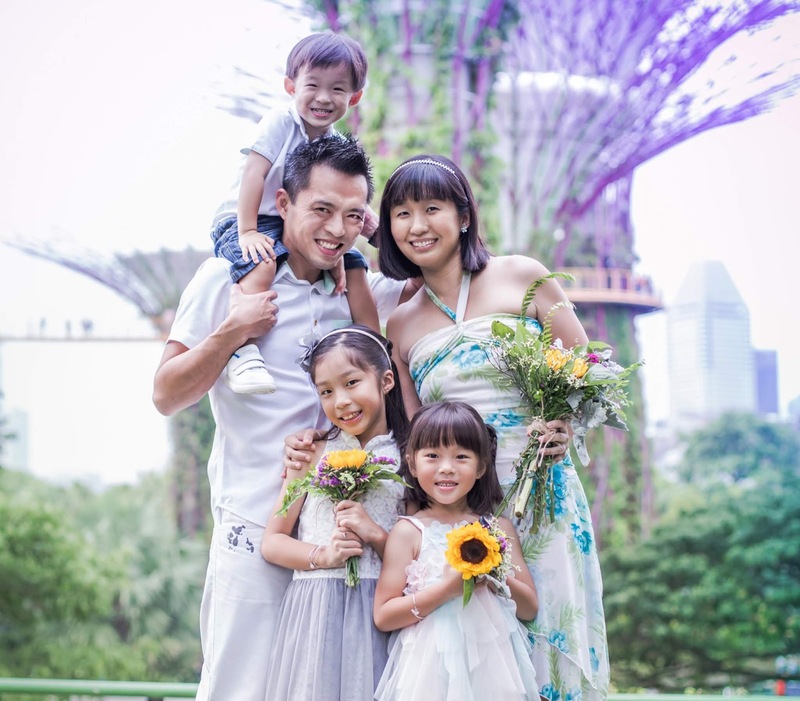 Congratulations to Michelle Ong (吳大娘) for being the winner of this giveaway! Thanks to those who participated and do stay tuned for more upcoming giveaways! Disclosure: A Happy Mum received complimentary tickets to the Christmas Village in writing this review. Giveaway tickets are provided by Singapore Flyer. No monetary compensation was received and all opinions are my own. looks so gorgeous! glad you all enjoyed yourself so :) see you this Sat! What I love to do during Christmas is to make and mail out our home-made Christmas cards to our friends, relatives and family members and not forgetting the yearly Christmas Eve gathering. Nice! Can see you all have enjoyed so much! See whether im lucky enuff to win the tix hehe..
Merry Christmas in advance to U & Angel! Hello summer, trying my luck here! The shopping, feasting, family gatherings :) and being thankful for the birth of Christ!